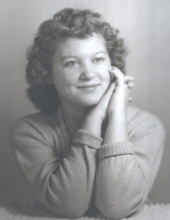 Agnes Dodd Vaughan, age 88, of Danville, VA, passed away on Friday, April 12, 2019 at her home. She was born on May 24, 1930 in Blairs, VA to the late Claude Cleveland Dodd, Sr. and Kate Evans Dodd. Mrs. Vaughan was predeceased by her husband, Artie Preston Vaughan, Sr., and her many brothers, Hugh Dodd, Dewey Dodd, Bobby Dodd, C.C. Dodd Jr., Albert Dodd, Melvin Dodd; sisters, Margaret M. Nichols, Doris D. Barker and Mabel D. Trexler; and five half-brothers. She is survived by her children, Preston Vaughan, Jr., Kathy Smith, and Steve (Connie) Vaughan; four grandsons, Jason Jones (Keely), Justin Jones, Nicholas Vaughan, Ben Vaughan; and two great-grandchildren, Easton and Estella Jones. The family would like to thank Starlette Hardy for her steadfast companionship and care through many days and nights for our mother. The family would also like to thank Commonwealth Hospice for their commitment to our mother and her family. Commonwealth Hospice gives a positive definition to what hospice is all about through their wonderful care for patient and family. Funeral services will be held at 2:00 p.m. Sunday, April 14, 2019, at Norris Mt. Hermon Chapel with a visitation proceeding the service from 1:00 p.m. – 1:45 p.m. Pastor David Bell officiating. Interment will follow at Highland Burial Park. In lieu of flowers, the family requests that donations be made to the Leukemia & Lymphoma Society Donor Services (lls.org) PO Box 98018 Washington DC 20090-8018 in Agnes Vaughan’s name. Norris Funeral Services, Inc. & Crematory, Mt. Hermon Chapel, 3995 Franklin Tpke., Danville, Va. is respectfully serving the Vaughan family. Online condolences may be made at www.norrisfuneral.com. To send flowers or a remembrance gift to the family of Agnes Dodd Vaughan, please visit our Tribute Store. "Email Address" would like to share the life celebration of Agnes Dodd Vaughan. Click on the "link" to go to share a favorite memory or leave a condolence message for the family.